In doing this, Amazon is moving into a business area that is already pretty crowded with companies that offer different aspects of cloud-based contact center solutions, including Zoho, Zendesk, Freshdesk, and many more: some of these, including Zendesk, Zoho, and Freshdesk, are actually partnering with Amazon for this service. Taken together, these services are collectively disrupting a lot of the more costly, traditional ways of serving customers both for technical and other kinds of support. Many traditional solutions would not be cloud-based and might incorporate outsourcing or in-house teams, and infrastructure, for a business that is projected to be worth nearly $10 billion by 2019, with some of the current market leaders including Avaya, Cisco and Genesys. As with other AWS solutions (and Amazon as a whole), the company hopes to wedge itself a place in the market with ultra-competitive (read: cheap) pricing: in addition to no up-front costs, there is no long-term contracts to sign and (as you would expect with a cloud service) no infrastructure. The core of this service is a “Virtual Contact Center” that Amazon claims can be set up “in minutes” and requires no special training to use, for which customers are charged by the minutes that it is used, on top of telephony costs — similar to the per-use pricing model that AWS also applies to its cloud services. Amazon isn’t announcing anything like this here, but I wouldn’t be surprised if Amazon at some point also looks into ways of combining this with a telephony service of its own (it’s already offering video conferencing in Chime). The per-minute charging that Amazon is applying here is also potentially useful to support specific marketing campaigns and temporary services — short-term promotions, seasonal spikes and new product launches are three examples Amazon gives for when it might be used. 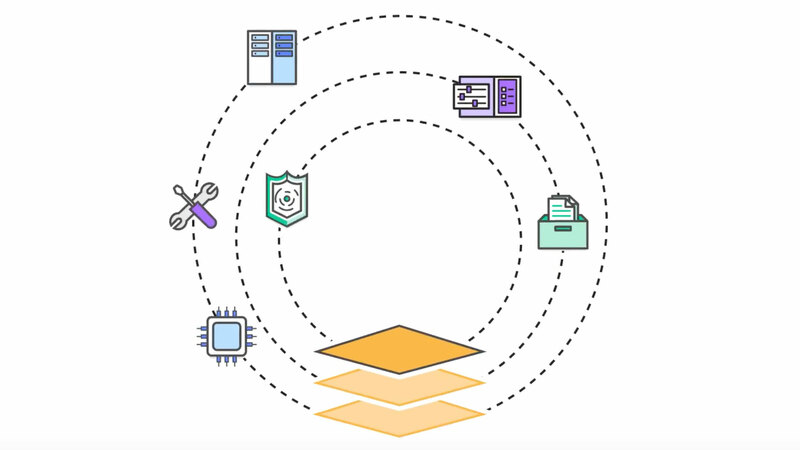 Amazon Connect integrates with other existing AWS services to source data, including Amazon DynamoDB, Amazon Redshift, or Amazon Aurora, as well as third-party CRM services: Salesforce is among the companies that has already announced an integration. It also incorporates some of Amazon’s newest innovations in natural language voice and other services to build automated responses that also integrate with other services like Amazon Alexa to support users. Specifically, companies can customize Amazon Connect using Amazon Lex, an AI service that is underpinned by the same automatic speech recognition technology and as Amazon Alexa so that customers can request services without needing to go through long menus. Among early customers are GE Appliances, communications company Bandwidth, and AnswerConnect. Other services that AWS launched include the productivity and communications suite Chime; the acquisition of Thinkbox Software, which makes tools for professional video editors, and Cloud9, based on an acquisition in July 2016 that is used for building developer tools for AWS to work between web and mobile. Updated headline: Zendesk (along with others) are partnering with AWS on this service.